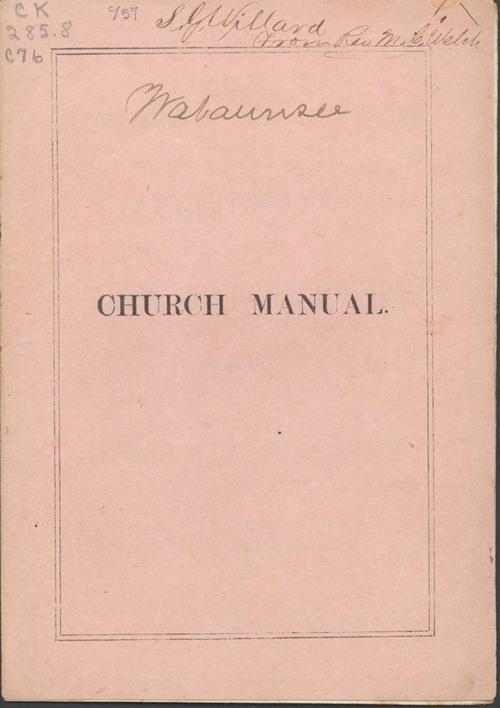 This printed pamphlet contained all of the items listed in the title for the First Church of Christ in Wabaunsee, Wabaunsee County, Kansas Territory. The church was also known as the Beecher Bible and Rifle Church. People - Notable Kansans - Lines, C. B.